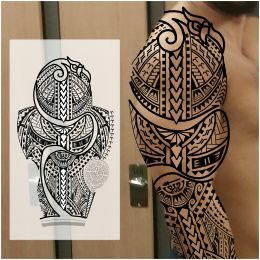 This full sleeve tattoo inspired by Samoan style was designed for Philip to integrate two existing tattoos. 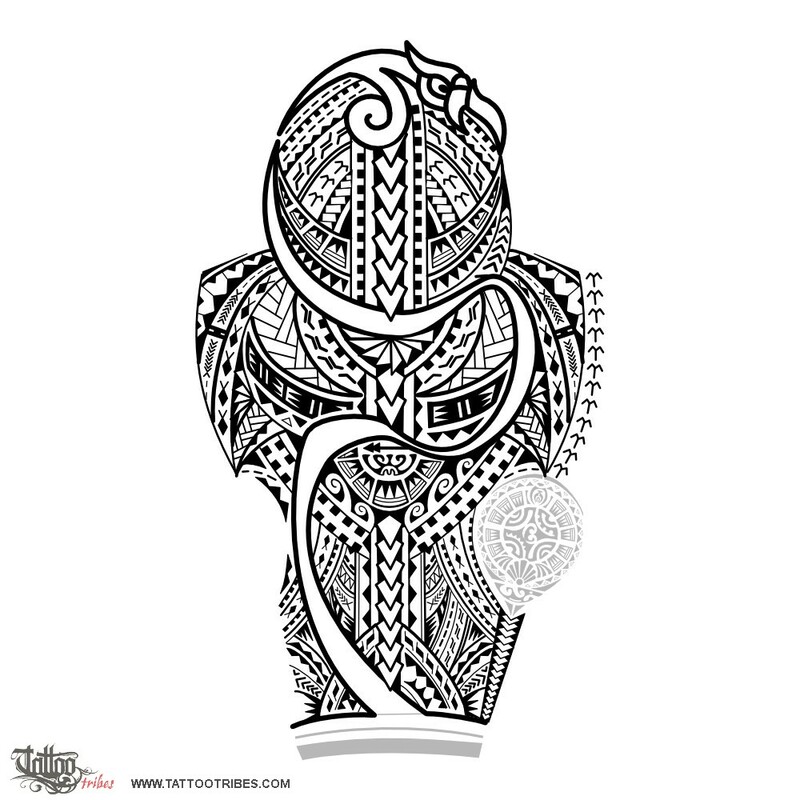 In addition to Samoan motifs, the manaia on top (guardian spirit, protecting it and developing in a stylized way all down the tattoo) was used to give more power to the design, enhancing at the same time the lines of the muscles. The shoulder has bigger elements and the forearm smaller to improve this. In the center of the forearm we placed the warrior, also symbolized by the spear heads crossing the whole design, overcoming all the adversities encountered along the way (the path of Kamehameha appearing several times). It´s surrounded by a sun shaped with coconut leaves to symbolize serenity and prosperity reached after many changes (the waves), while mountains near the wrist are for stability. The centipede is another element that indicates warrior spirit, tenacity, while shark teeth are symbols of protection, strength and adaptability. In the upper part of the armband, the turtle shell motif symbolizes family, always present on top of all difficulties. Birds symbolize travels and getting to see the world from a higher perspective while fish are for prosperity.